As someone impacted by disability, the theme for this year’s International Day of Persons with Disabilities, “Inclusion matters: access and empowerment for people of all abilities,” really resonated with me. Technology has played a crucial role in my life. It has enabled me to become employable, take up a variety of corporate roles, and eventually lead me to join Dell in April 2015. I suffer from Retinitis Pigmentosa, a genetic disorder causing permanent changes to your vision, eventually resulting in blindness. My sight loss has been gradual since my teens and I adapted to living with reduced vision. Initially using large fonts, a magnifying glass, high-powered glass and eventually my parents as a reader/helper for my studies. The real tipping point for me came with JAWS (Job Access With Speech), a screen-reading technology that has revolutionized life for millions with visual impairment across the globe. Now, I can use the internet, draft reports, create presentations or perform complex analyses. Mobile advances have made me efficient in my day-to-day activities – I use Google maps anywhere I go, directing my driver instead of being dependent. I also do all my banking and reading on my phone. Joining Dell was made seamless by the sensitivity and support of the Dell team. My computer and assistive technology (JAWS) were all arranged before I joined, and my manager and colleagues have accommodated me whenever required. 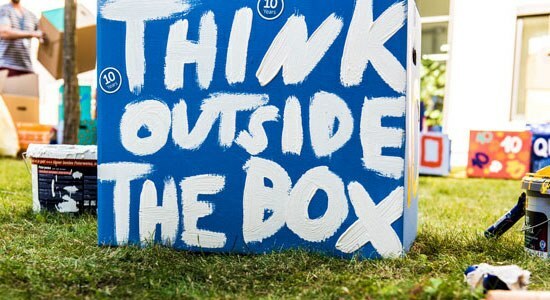 Dell’s True Ability global employee resource group (ERG), dedicated to educating, driving awareness and serving as a resource for our team members impacted by disabilities or special needs, has been extremely helpful. My local True Ability chapter organized a home pick-up for my office commute and designed me a personal emergency plan. I joined India’s True Ability core team and am working with them to further improve our work environment and make it more inclusive. 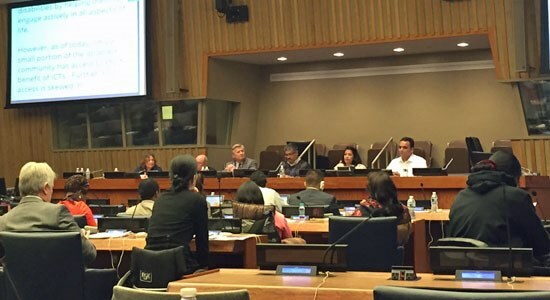 I had the opportunity to represent Dell India at the United Nations Conference of State Parties in New York City in June 2015 (pictured below) where I highlighted why technology organizations should make products and services accessible for persons with disabilities. Technology is a great enabler and equalizer and can help persons with disability to participate in social, cultural and economic activities. I received an overwhelming response and continue to raise awareness for how technology can support people with disability. Dell’s Power to Do More philosophy embodies the principle of empowerment for people of all abilities and the vital role technology can play, embracing employees with disabilities, and also customers by collaborating to include assistive technology solutions like EyeMobile on Dell platforms and also producing assisted technologies to help organizations including schools. Learn more about International Day of Persons with Disabilities and how Dell supports team members through employee resource groups like True Ability.